Product code: 1698 Categories: Sold Items, Sold Jewellery. This Art Deco era enamel pendant from the 1920’s looks so divine and will always be admired and appreciate. 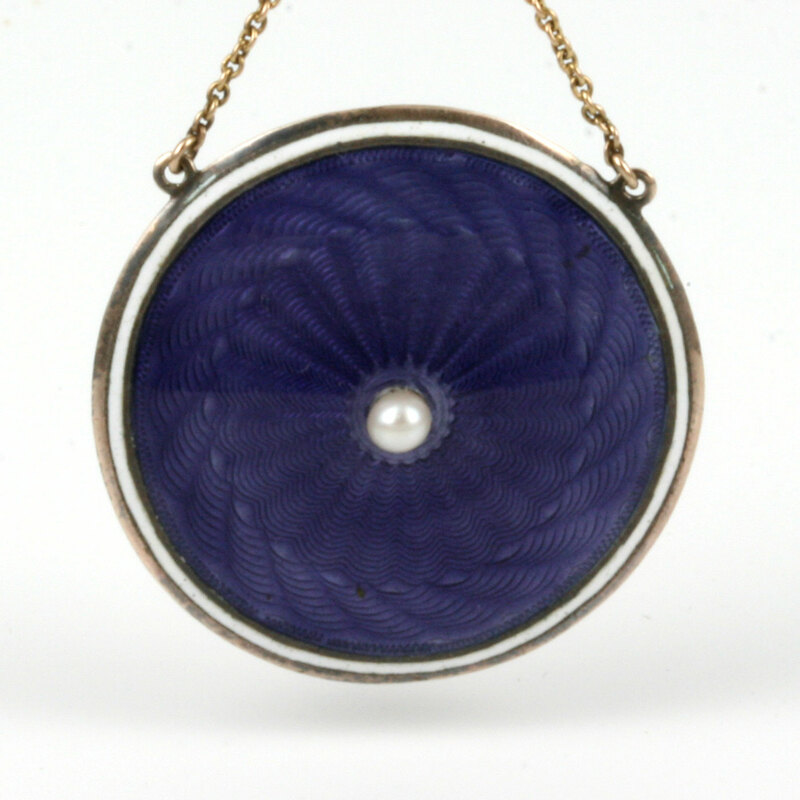 Made in the 1920’s in 9ct rose gold, the locket has the most vibrant blue guilloche enamel pattern on both sides, with a pearl in the centre. On a chain that measures 54cm to the pearl at the top, this piece sits so well on the neckline. The Art Deco jewellers truly excelled in making breathtaking pieces of jewellery, and not only is this a delightful piece to admire on one side, there is the ability to place a photo in the reverse. A very attractive Art Deco enamelled locket to cherish.